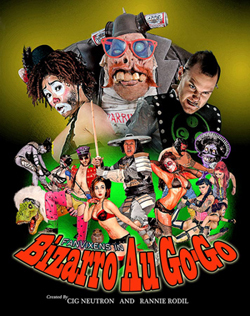 Bizarro Au Go-Go: Blood, Babes, and Beyond: Contest extension! That's awesome!! I wanted to enter but in New Zealand cause of our school semester difference it's the time for school and university exams so I didn't have time to put an entry in. Thanks! Looking forwards to see what ever one else has come up with! Hopefully now I can participate. But we have home construction going on in the next few weeks, so we'll see. Maybe I'll do a half assed one just for that sake of doing it! LOL!